Remember the “I love you” virus? 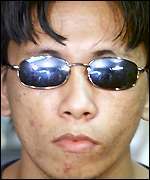 Onel de Guzman is the author of this malware that couldn’t be held accountable (by law) at the time due to a lack of legislation in place against such an emergent threat at the time of the incident. Back in the day most LEO didn’t even have computers let alone investigative skills accordingly. Things have changed in the past 15 years. Two big ones that are more recent: Blackhole and Dridex. Blackhole was the leading exploit kit in the underground. Paunch got arrested and it quickly subsided. Of course other kits were quickly positioned within the marketplace to replace the gap, notably Angler and similar kits. Now we have reports of Andrey Ghinkul, aka Andrei Ghincul and Smilex, 30, of Moldova, having been arrested for their role with Dridex. Additional context on this important set of arrests can be found online. These are major threats that impact most if not all organizations on the Internet. I couldn’t be happier with how LEO has had such success in recent years after more than a decade of standing up to battle this high speed complex type of crime. I’ll also note that LEO is increasingly aware of and concerned for your privacy, making sure that when you involve them they do not make matters worse (but actually better) for your reputation and business impact. I give my thanks to each LEO officer who is and has served in the world of digital investigations.